Sketch Nation is a game development tool which allows users to create their own games simply by either drawing them on the device, or by drawing them on a piece of paper and taking a picture of their drawings. Users can modify the game parameters to create their own unique game. Once their game is complete, users can share it with their friends and with people all over the world. They can also check out how their scores compare with other people, rate games and read the constantly updated news feed. The first Sketch Nation game, a 2d vertical shooter, called Sketch Nation Shooter was released in April 2010. 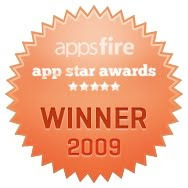 It was a huge success and has 800,00 users who created 100,000 games and shared more than 10,000 of them. Our next game creation engine, called Sketch Nation Studio will be released soon. We are very excited about that because we are going to add some cool features; there will be in-app drawing, a larger genre variety and versatility, and... are you sitting down? We are going to allow users to create a stand-alone app from their games and sell it on the app store! How cool is that?! For additional information please contact Engineous Games.